Coming soon to the Skin Fair is this cute skin by theSkinnery. In the image, it is worn on the system body. There is also a version for TMP…I’ll probably blog that soon. 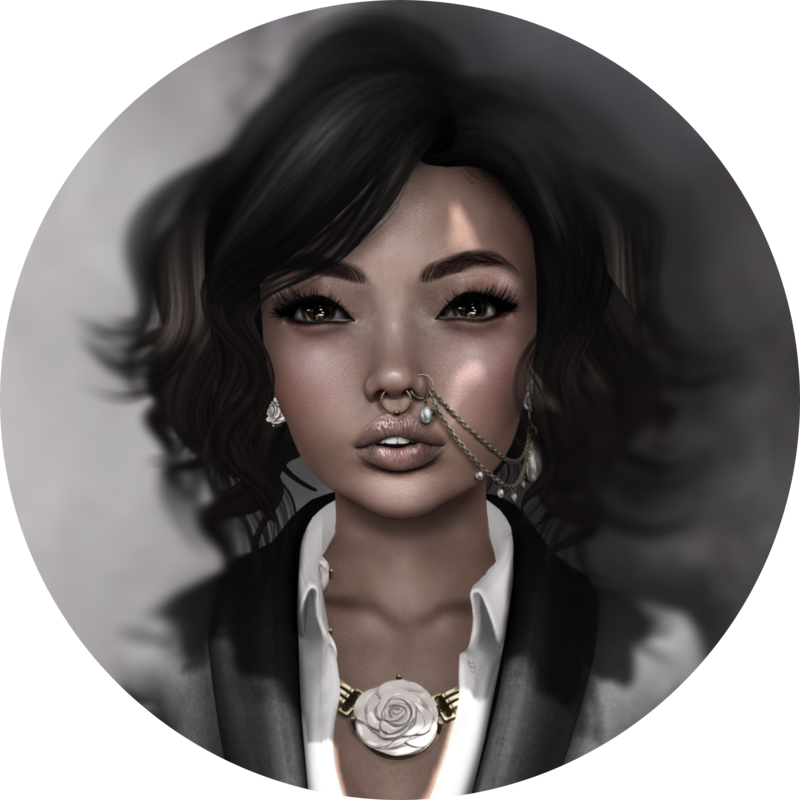 Moving onnnn… I absolutely love the lips on this skin, though I opted for a really cute burgundy lip for the look. I’m very picky about lips which is why I tend to buy the overlays from the shops. For this particular skin, I didn’t have to cover up anything */* I MAY even add some freckles to make her truly mine….stay tuned! Do you guys like M.BirdieStory? It’s okay if you don’t, but I do! This jacket and sweater combo is currently featured at the Chapter Four. I purchased the grey and floral combo. It was a very hard decision, for sure. Dare I love this three eyed cat when I don’t really like cats at all? Something to ponder about. On to the credits! And to answer your question, yes I went a little crazy at the Luck of the Irish Gacha event….